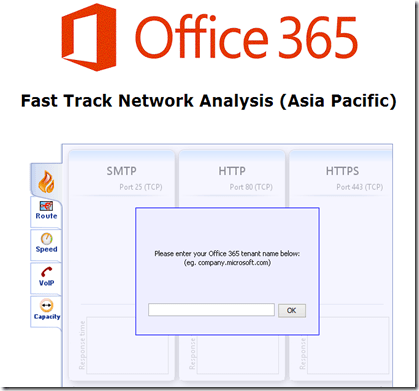 A while back I wrote a post about how you could use the Office 365 Lync IP probe site as a replacement for ‘missing the action’ Microsoft Speedtest. Now thanks to Office 365 MVP Benoit Hamet it has returned it seems! After a few minutes the tests complete and provide some interesting results. The results from this site and Lync IP probe are somewhat different. Lync IP Probe still seems to provide more detail but there are some interesting figures produced by the new Speedtest site. My advice would be to still use both as required but I get the feeling that Microsoft will be developing this new Speedtest site to be the most encompassing so stayed tuned because I think you’ll see plenty of changes and improvements coming here. 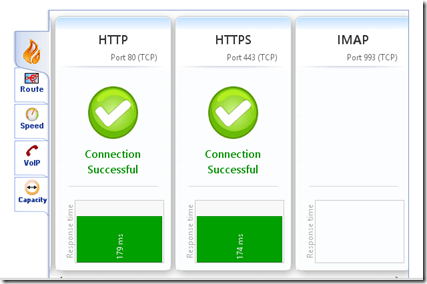 The only question is are they going to migrate it back to the original URL of http://speedtest.microsoftonline.com?